Americans, you too can travel to Cuba and legally. I know it may sound wrong, illegal, or just impossible, but I want to let the cat out of the bag. 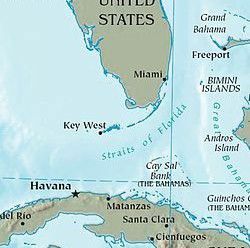 You can fly direct from Miami to Cuba, experience Havana, Cienfuegos, Trinidad, and Santa Clara, and even change your US Dollars into Cuban Convertible Pesos (CUC) to purchase music, books, Cuban hats, Guayaberas, and more. AND, there isn’t a catch; you don’t need to be a Cuban-American, governmental worker, press, or on a religious mission. With changes in the travel policy instated by President Obama, Americans can travel to Cuba through licensed tour operators offering People-to-People tours. If you want to view the beautiful architecture of Cuba, walk amongst tropical botanical gardens, taste the rich Creole cuisine and learn to cook it, enjoy a Cubalibre or Mojito while listening to one of the many types of Cuba music like Son, Salsa, or Trova, discuss political relations between the US and Cuba, and take a Spanish language class, these tours could be your ticket to uncovering the forbidden fruit of the Caribbean of the last 50+ years. Show me, what does a tour to Cuba look like? We all know that a picture is worth a thousand words; so, let me show you a video that will transport you there in-person and in real-time. I’d like you to enjoy what a 9-day People-to-People tour looks and sounds like from the perspective of someone who has done it. If you are interested in more information about legal tours to Cuba this summer and into the fall of 2013, view this itinerary and info. As always, stay tuned to more stories from Cuba and other destinations by connecting with me on Facebook, Twitter, Google+, and YouTube.